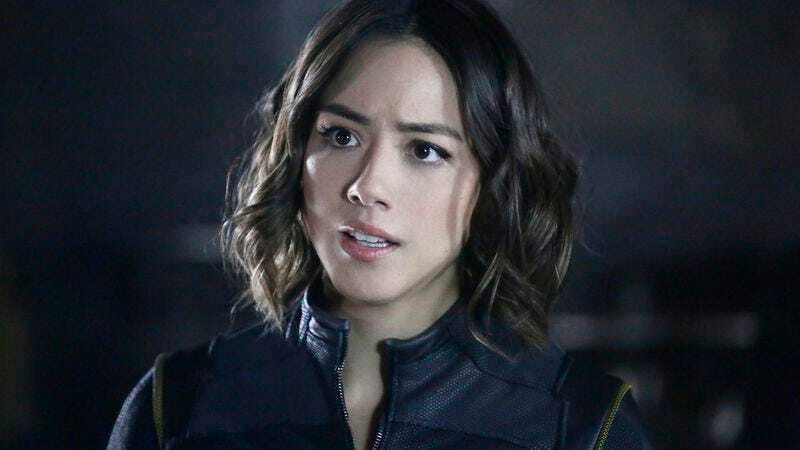 Chloe Bennet, playing Inhuman character Daisy Johnson on Marvel's Agents Of S.H.I.E.L.D. Disney and Warner Bros.—and their respective comic book associates, Marvel and DC—have both built elaborate five-year schedules for their dueling superhero movie franchises, plotting character introductions, plot developments, and potential marketing strategies out years in advance. Now, Marvel has pulled one of its most distant tentpoles out of the multi-billion dollar hodgepodge of superheroes, crossovers, and after-credits teases it’s been building, with the announcement that 2019’s Inhumans is no longer on the schedule. According to Deadline, the film—which would likely center on the comic book characters of the same name, a civilization of superpowered exiles who live mostly on the moon—hasn’t been canceled. But it’s still a little strange to hear that it no longer has a formal place on the studio’s master plan, especially since ABC’s Agents Of S.H.I.E.L.D. has spent two seasons seemingly laying the groundwork for it via an ongoing story about the mutation-inducing Terrigen mists. The mists are a major component of the comics’ mythology; meanwhile, one of the show’s lead characters, Daisy Johnson, is an Inhuman herself. Inhumans was initially set for a July 12, 2019 release, two months after the still-on-the-books (and likely to stay there) Avengers: Infinity War, Part 2.